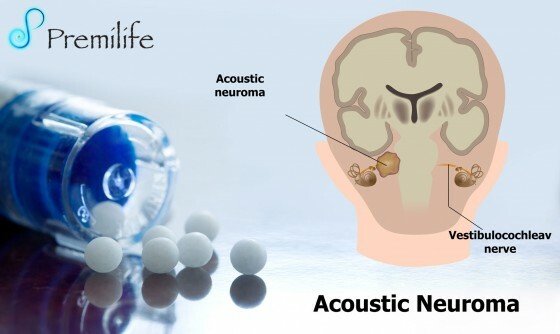 Acoustic neuroma is a non-cancerous tumor that develops on the nerve that connects the ear to the brain. The tumor usually grows slowly. Acoustic neuroma is a non-cancerous tumor that develops on the nerve that connects the ear to the brain. The tumor usually grows slowly. As it grows, it presses against the hearing and balance nerves. At first, you may have no symptoms or mild symptoms. This entry was posted in Brain and Nervous System, Ear Nose and Throat. Bookmark the permalink.